Coal burning is so last century! It’s one of the most carbon-intensive fossil fuels, and burning it also creates pollution that harms the health of people in nearby communities, pollutes waterways, and causes smog and acid rain. It’s time to move beyond coal! Check out this video to learn more about the true costs of coal. Efforts are Underway to Expose Air Quality Violations and Safety Issues from the coal-fired Martin Drake Power Plant in Colorado Springs. Your Financial Support to Assist These Efforts is Appreciated! The coal-fired Martin Drake Power Plant in downtown Colorado Springs, CO. Photo by Sam Wang. THERE’S NO SUCH THING AS CLEAN COAL! Colorado Springs Utilities (CSU) is in possession of study results showing the Martin Drake coal-fired power plant has been operating in violation of state and federal air pollution regulations including the federal Clean Air Act – but won’t release the results to the public. And what”s more outrageous is that they are now seeking in Court that the person who read the study is punished and pays the City’s attorney fees that have been dedicated defending their secrecy from the public! Specifically, the documents show air quality studies conducted by the company AECOM, under contract to CSU, found sulfur dioxide (SO2) emissions from the Martin Drake plant exceed the health-based limits for what is deemed safe for people to breathe set in the 2010 National Ambient Air Quality Standards by the U.S. Environmental Protection Agency (EPA). CSU is shielding these documents from the rate-paying public that funded the studies, and is withholding them from the EPA through excuse that the documents are attorney-client privileged. However this information directly impacts public health and safety and therefore rightfully belongs in the public domain, not in a lawyer’s file cabinet. SO2 also reacts with other compounds to form tiny particles that penetrate deeply into the lungs. Additionally, SO2 contributes to acid rain and damage to trees and plants. The residents of Colorado Springs have a right to know what they are breathing from this urban power plant. Even though CSU was in possession of the SO2 study results in 2015 showing harmful pollution levels, they falsely claimed to the Colorado Air Quality Control Commission that year that the Martin Drake plant is meeting all federal air quality standards. We share a deep concern for the health, welfare and quality of life for all the citizens of the Pikes Peak Region, especially the 387,000 people, including 120,000 children, living within five miles of the Martin Drake power plant. Let’s allow transparency and honesty shape the way in our future vision for electricity generation in Colorado. Sign the petition to send this message to the City of Colorado Springs. We need your financial support to confront Colorado Springs Utilities’ efforts to hide violations of the Clean Air Act and wrongfully target Colorado citizens with the bill. Your donation today will make a difference. Did You Know This About The Martin Drake Power Plant in Colorado Springs? The non-profit organization, WildEarth Guardians, has found over 3,000 opacity violations of the Clean Air Act at this plant and has filed a Notice of Intent to Sue Colorado Springs Utilities. These emissions violations at Drake could add another $100 million+ in penalties to the cost of operating this plant. Colorado Springs Utilities has already squandered nearly $200 million to fund a private company’s development, and then install experimental equipment, to reduce sulfur dioxide (SO2) emissions from Drake. Colorado Springs Utilities improperly pursued this SO2 scrubber equipment under a sole source (non-competitive) bidding process, for which they are also subject to another pending legal action. 2014 fire at the Martin Drake Power Plant. Photo courtesy of KDVR News. The EPA and the State of Colorado Department of Health and Environment have issued a designation that SO2 emissions from this plant are “unclassifiable”, despite numerous professional studies that all demonstrate that the plant is releasing dangerous levels of sulfur dioxide, a leading cause of asthma and respiratory impairments. The Martin Drake Plant suffered a major fire in 2014 that nearly resulted in an explosion. This aging plant in the middle of downtown Colorado Springs and next to I-25 is unsafe and must be retired ASAP! We can’t afford to let more time pass when how many more millions will be wasted? Our air quality, and our health is at stake! 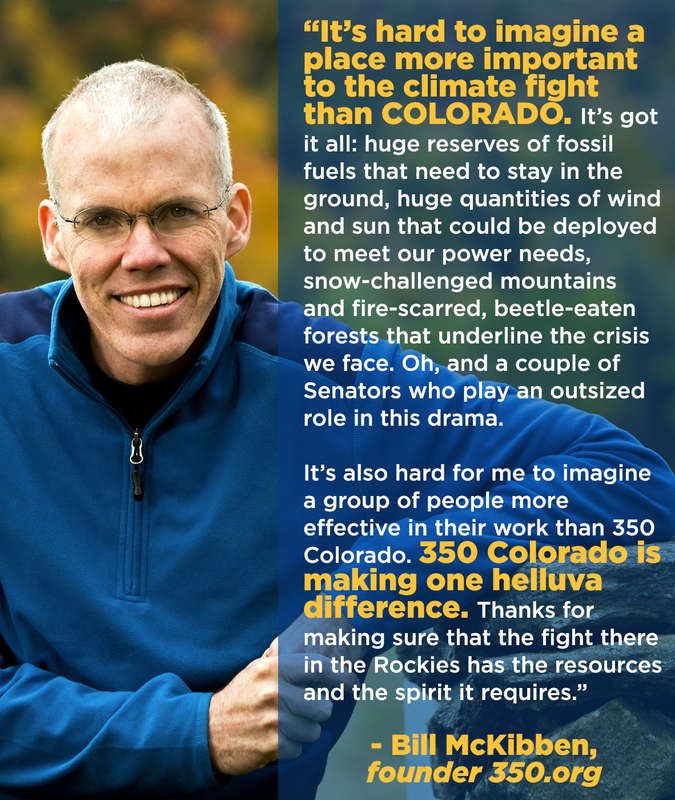 Please Make a Tax-Deductible Donation to 350 Colorado That Will Directly Support These Efforts! What’s the true cost of coal?